We have an awesome farmer's market here in Kansas City. It's actually called The City Market. During the week, fruit and vegetable venders are there along with ethnic food and spice shops. On the weekend, venders travel in from all over to sell more fruits and veggies, farm fresh milk and eggs, and breads and jams straight from the Amish. It's really a fabulous place to spend a few hours, try some new items, and pick up fresh groceries for the coming week. And did I mention that it's extremely inexpensive? Fun and inexpensive: one of my favorite combinations! Last Friday, Sean had the day off at work, so we decided to take the kids down to the market and explore a bit. All of the extra vendors were not there, so it wasn't crowded like it is on the weekends. The kids thought it was fascinating to see all of the different fruits and veggies displayed on tables outside. Even thought we get our CSA bags every week, I still have to supplement with a little extra produce. Our family goes through between 30-35 pounds of bananas a month, so I picked up our weekly supply for the week. 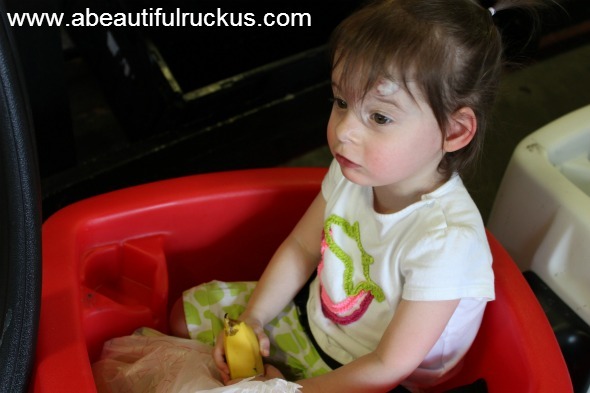 Ellie loves bananas and figured she should do some quality control while we were there. We caught her eating a banana, peel and all. I guess she was hungry! It was really hot, so we were only there for about an hour, but it was worth the trip! I managed to snag some still-warm pita bread from the Middle Eastern shop, strawberries for $0.99, 8 limes for $1, and 11 big tomatoes for $1, among other things. Love those prices! The kids were pretty tired on the way home. We handed out water and pita bread to tide them over until we were able to get them some lunch. But Abby fell asleep mid-bite. You know this girl is tired when she falls asleep while eating carbs! 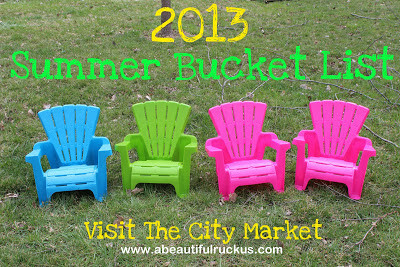 We hope to head back again this summer, maybe on a weekend so that we can see what all of the other vendors are offering! I love that wagon train, so easy to keep all the kids together and in one place. They love it too, because they can see everything! 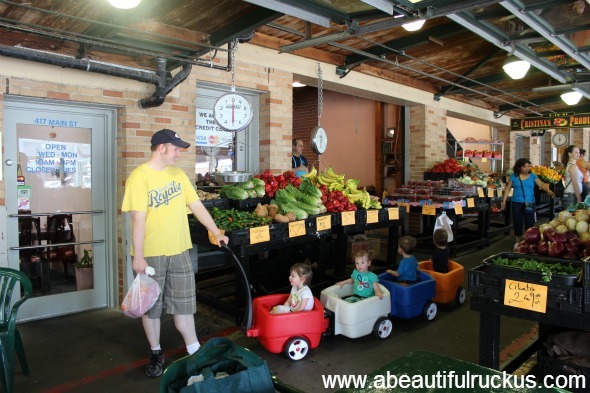 The Overland Park farmers market is also a great place to take kids. All the venders are local parking is easier than downtown. The clock tower bakery is a great place to stop for breakfast...the breakfast pizzas are 7 dollars and pretty big. Thanks for the tip! 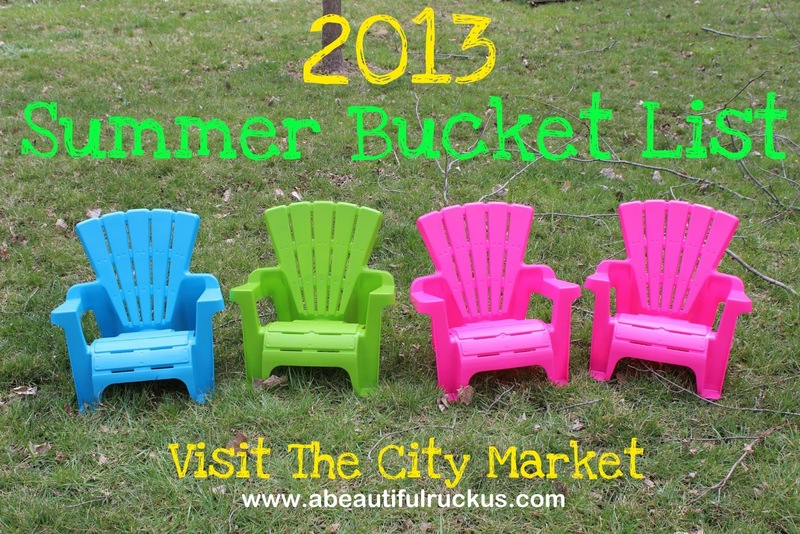 We might try that one this summer too. It sounds a little easier to navigate! 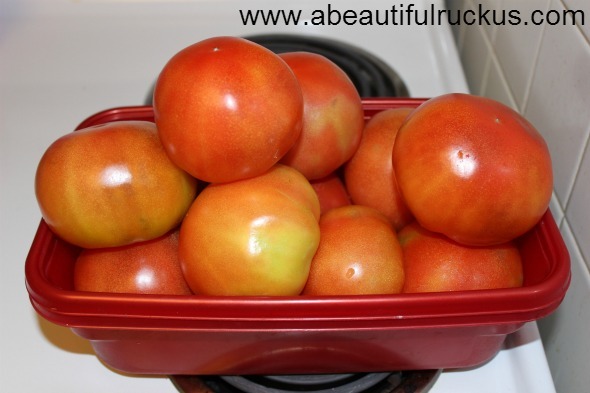 Great photos-love them farmers markets! : ) Where did you get that adorable wagon set? It's the Step 2 Choo-Choo Wagon (three compartments) plus the additional compartment. We love it, and it comes apart to fit in the back of the minivan. I will understand if you don't publish this comment but I just needed to share this with you. Please hear my heart for a moment and know that I am coming from a place of pure concern and love for your kiddos. I couldn't help but notice that sweet Abby's carseat straps aren't placed correctly and if (God forbid) an accident were to happen, she would not be properly restrained. The middle clip should go at armpit level so that the straps stay on her shoulders. I hesitated to bring this up because you are such a wonderful mother (and Sean's a fantastic dad) and I did not want you to feel like I am being critical. But I decided to try to tell you in the nicest way that I know how because as a parent, I have such a love for all precious little ones and I would never want anyone's kiddos to get hurt. I hope you don't think I am picking on you. I enjoy your blog so much and your family is so very sweet. 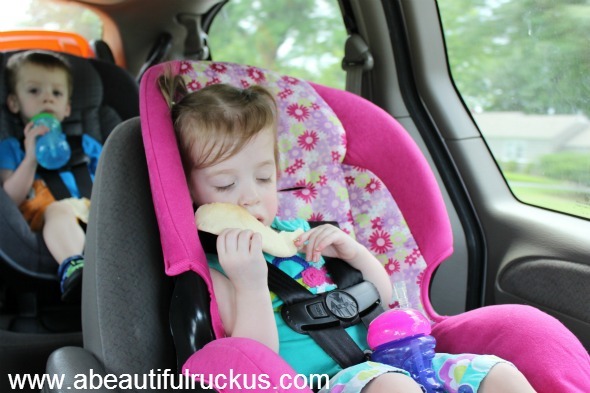 You are very, very right about Abby's car seat straps. In fact, when I turned around and took the photo, I also saw that her straps weren't positioned correctly. I actually told Sean that if I put that photo on the blog, someone would comment that her chest clip was too low and her shoulder wasn't fully restrained. I really DO appreciate that you said something about it! It's so important that children are fasten correctly into their seats, and this particular time, we didn't get her tight enough. It's embarrassing to fail as a parent, especially so publicly, but at least you now know that we are human too! Please know that this was most definitely the exception and not how we normally strap her in. 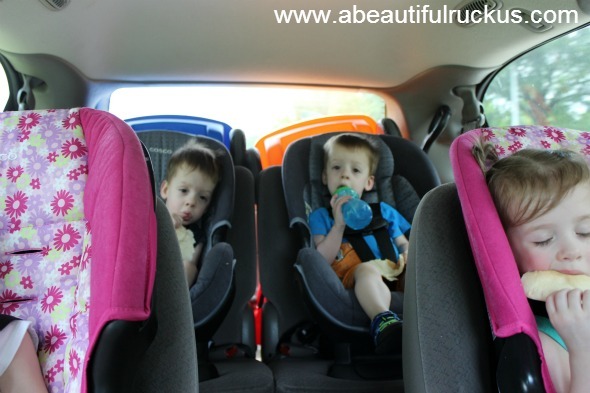 Normally, we have the kids buckled in so tight they can't move!